The first match apart, which the visitors won 1-0, India won all the games in the series (3-2, 2-0 and 2-0). 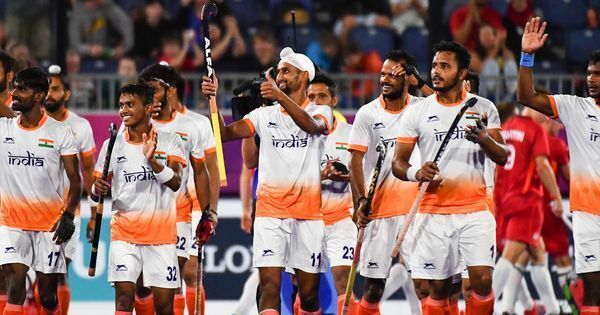 India A defeated France A 2-0 in the fourth (and the last) match of the series at the Padma Shri Mohammad Shahid Synthetic Hockey Stadium in Lucknow on Wednesday to register their third straight win. Youngsters Jyoti and Gagandeep Kaur scored two quick goals to clinch a comfortable win for the hosts. The first match apart, which the visitors won 1-0, India won all the games in the series (3-2, 2-0 and 2-0). India, after a relentless attack, scored their first goal in the 26th minute. Jyoti, 19, slotted home a well-constructed goal by her teammates. After coach Baljeet Singh’s half-time talk, the Indians dominated the first few minutes of the third quarter. In the 32nd minute, they were awarded a penalty corner, which Gagandeep converted. The hosts were rewarded for maintaining a solid structure and defending well throughout the last two quarters. The French had a few chances in the matches but could not capitalise.